When relationships end it might be a painful time. You think that it’s going to be forever and life will never be the same again. But sometimes…just every now and again….it can be worth fighting for. Drake and Rihanna recently decided to give their relationship another shot. But can it work out in the long run? 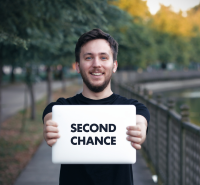 As a Dating Coach I know that yes, second chance relationships can work well. But it takes a lot of hard work and commitment from both sides. Here’s my expert advice to help you if you find yourself in a similar situation. The main reason that Drake and Rihanna haven’t been able to last so far is mainly because he has not been willing to commit. They are both serial daters and enjoy the experience of being with new people. So if you want to ensure your relationship can go the distance then you have to be prepared to give each other 100%. You both need to be on the same page in order to make things work. This means being completely honest with each other as well as being realistic. What is acceptable behaviour and what is a deal breaker? Is it OK to stay in touch with an ex or to flirt with new people? If it makes the other person unhappy then you should be clear about this. The same goes for where you see the relationship heading. There’s nothing worse than one of you wanting to settle down when the other is happy to keep things casual. Communication is the secret to a long future. Set aside regular time to discuss how things are going. It’s sadly not uncommon for relationships to break down simply because of infidelity. If someone cheats on you then it can be almost impossible to want to forgive them and move past it. That’s because of the pain and confusion it causes. However, if you really do want to give them a second shot then you have no choice but to try to forgive them. If you can’t do that then there’s no real chance you’ll be able to love each other completely. If you’ve cheated on someone then you are the one who needs to put all the effort in. You have to be genuinely sorry for what you’ve done. Reassure your partner that it will never happen again and be true to your words with actions. Nobody is perfect and we all make mistakes. Don’t try and change someone who isn’t ready to do so and the same goes for yourself. There’s not rush to do anything immediately so give the relationship a chance to breathe. A happy couple is one that gives each other space and takes time. The more time we spend together, the more likely we are to continue to get to know each other. As you get older, both you and the relationship will mature. You’ll learn things about yourself and the other person and hopefully become stronger for it. Never get complacent or too comfortable and what whatever you do, never stop going on dates! I hope you found this article useful. Are you looking for a dating site that really matches your wants and wishes? Make sure to check out our reviews here.